Mr. Ryan was born in DeWitt, Iowa and has been practicing law for over 35 years. In 1996, he was first awarded with, and has consecutively held, the highest possible rating (“A-V”) through Martindale Hubbell’s Peer Review Rating in Legal Ability and General Ethical Standards. In 2001, Mr. Ryan was admitted into the San Diego Chapter of the American Board of Trial Advocates (ABOTA). Mr. Ryan was recently selected by his peers for inclusion in the 2018 Edition of The Best Lawyers in America© for his work in Insurance Law. Mr. Ryan has also been selected by California’s Super Lawyers© as one of the top attorneys in San Diego, California – he has been the recipient of this honor annually since 2011. 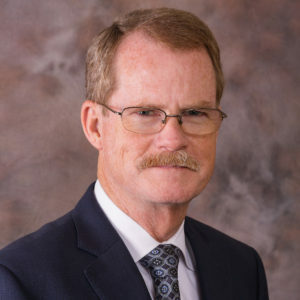 In addition to his civilian practice, Mr. Ryan served for five years active duty with the United States Navy’s Judge Advocate General’s Corps (JAGC) and then served for 22 years in the United States Naval Reserves. Mr. Ryan retired as a Captain in January 2007. Mr. Ryan is active in his community and has been involved in youth sports. He previously served on the Board of Directors of Serra High School Foundation (2009 – 2013) and continues to serve youth activities through the Board of Directors of Tierrasanta Park & Recreation Council (2001 – Present).